We welcome you to join us – farmers, foragers, scholars, plant breeders, and conservationists -working to recognize, protect, and utilize the wild relatives of domesticated crops that naturally occur in Arizona and the other nine states along the U.S./Mexico border. North of the border, Arizona is among the states with the richest flora of these culturally and economically valuable wild plants, with species from over 50 genera (Table 1). Many of the species found in the Grand Canyon State occur in national forests, national parks and monuments, and on Indian reservations. These crop wild relatives (CWR) are the cousins of important plants cultivated for food, fiber, forage, beverage, and industrial uses around the planet. While many people might assume that wild crop relatives hold little food value, the native and immigrant foragers of Arizona and surroundings would argue otherwise. Nutritionally and culturally important harvests in the desert Southwest may have begun as early as 10,900–10,100 calendar years B.P. (Louderback and Pavlik 2017) and continue to this day for wild potatoes (Solanum L. spp.) onions (Allium L. spp. ), the wild chile peppers (Capsicum annuum var. 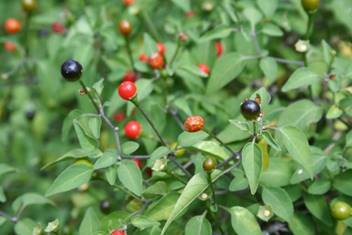 glabriusculum (Dunal) Heiser & Pickersgill) known as “chiltepines,” and for many other wild berries, fruits, greens, and culinary herbs. In Arizona alone, native species belonging to at least 24 of the genera listed in Table 1 have been documented as collected and used by the state’s culturally diverse residents. Many of these foods are gathered from vacant lots, along roadsides, and in other urban or disturbed habitats, while others require long treks into wild places. Native traditional knowledge and permits for collecting in protected natural areas enable sustainable management of harvests. Chiltepin (Capsicum annuum var. glabriusculum (Dunal) Heiser & ) Photo by G. Nabhan. In addition to these direct uses, crop wild relatives in at least 20 genera are among those utilized by plant breeders and nurserymen for crop improvement. These wild plants have improved crops’ tolerance to abiotic stresses, enhanced their resistance to pests and diseases, increased their nutritional quality, made their breeding more efficient, and offered hardier rootstock for fruit, nut, and berry crops. Of close to 4,600 crop wild relative and other wild useful plant taxa (species, subspecies and varieties) inventoried in the United States, over 1,000 (22%) occur in Arizona (Khoury et al. 2013). Some 450 of these may be prioritized for their close (congeneric) relationship with one or more crops, or because they are an important food source in their own right. Of these, around 150 are high priority for conservation and research due to their relation to important crops, with 40 of these being of greatest interest to agriculture, as crop progenitors or close cousins with much potential for use in plant breeding (Table 2). Wild Plum (Prunus sp.) Drawing by Paul Mirocha. Our growing human population and changing dietary expectations across the world are increasing the demand for more and better food at rates that bring into question how agriculture will keep pace both in terms of availability and affordability (Ray et al. 2013). Meanwhile farmers are facing natural resource input limitations and changing weather patterns, while trying to respond to calls to improve soil and water conservation, reduce greenhouse gas emissions, and better protect the pollinators and other ecosystem services that bolster crop production (Cordell et al. 2009; Godfray et al. 2010; Asseng et al. 2015). To produce good, affordable food while reducing the environmental impacts of production, more diversity will be needed – both in the variety of plants cultivated or foraged for the market, and in the genetic variation within domesticated crops. Crop wild relatives offer the world both of these gifts. Crop wild relatives are often more adapted than their domesticated kin to extreme climates and difficult soils, and to challenging pests and diseases (Hajjar and Hodgkin 2007; Dempewolf et al. 2013). Due to the close genetic relationship of these plants with their cultivated cousins, useful traits can be introgressed from wild relatives into crops (Dempewolf et al. 2017). Their value is enormous- the annual economic contribution of sunflower wild relatives was recently estimated at $267-384 million (Seiler et al. 2017). Their uses as genetic resources are expected only to increase in the future alongside the ongoing improvements in information on the plants and their diversity, and well as the continuing advances in breeding methods and tools (McCouch et al. 2012). Our high hopes for crop wild relatives are based on the assumption that they will be readily available for use, which requires their conservation – both in genebanks where they are accessible to plant breeders, and in their natural habitats, where they can continue to evolve alongside pests, diseases, heat, drought, and other stresses. Unfortunately, public genebank collections of crop wild relatives are known to be deficient for most crop genepools (Ramírez-Villegas et al. 2010; Castañeda-Álvarez et al. 2015; Kantar et al. 2015; Khoury et al. 2015; Castañeda-Álvarez et al. 2016; Khoury et al. 2019). At the same time, the habitats of a wide range of wild relatives are threatened by habitat fragmentation through urbanization and agricultural expansion, invasive species, mining, climate change, pollution, over-harvesting, and more (Jarvis et al. 2008; Zhang et al. 2017; Frances et al. 2018). Even in protected natural areas, such plants are often susceptible due to inadequate prioritization and insufficient resources to manage the populations (Hampe and Petit 2005; Le Saout et al. 2013). More than six dozen crop wild relatives have been considered as candidates for Federal listing as threatened and endangered species since the first “redbook” of plants at risk in the United States was published by the Smithsonian (Ayensu and DePhillips 1978). However, only a small percentage of these taxa have actually been formally listed, and fewer still have been afforded critical habitat protection for their populations. Thus in situ conservation has mainly been achieved by other means. Examples include reserves within California state parks for wild strawberries (Cristopher et al.1984), botanical areas on USDA Forest Service lands such as the Rock Corral Canyon Wild Chile Botanical Area in Arizona for wild chile peppers and other species (Nabhan 1990; USFS 2016) (Table 3), and community-based reserves on Native American Nations’ sovereign lands or Indian Reservations. Conserving and studying these crop wild relatives in their natural habitats can provide plant breeders and evolutionary biologists unique insights into these plants’ interactions with pollinators, seed dispersers, predators, and pests and diseases (Tewksbury et al. 1999; Chen 2017; Luna-Ruiz et al. 2018). Such insights may prove to be useful not only in crop improvement but also in devising novel strategies for integrated pest and disease management. 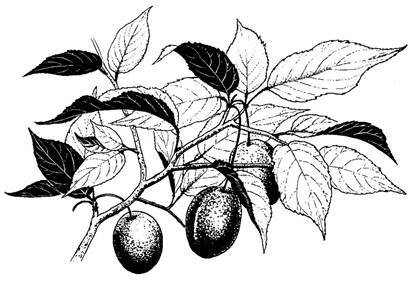 Solanum douglasii Dunal Wonderberry, Chichiquelite Closely related to and possible progenitor to domesticated S. M. Martens & Galeotti or S. americanum Mill. *flowering and/or fruiting herbarium specimens useful in making valid specific or subspecific identifications of plants collected in the 2300 acre Rock Coral Canyon Botanical Area are available at the University of Arizona, Arizona State University, and/or Desert Botanical Garden herbaria. All other taxa listed in Table 4 are either in the 6300 acre Rock Corral Canyon watershed above Tumacacori AZ, but not in the botanical area, or are sightings of plants without flowers or fruit. (See Nabhan 1990). The U.S. public genebank system is prioritizing native crop wild relatives, including within its plant exploration program. Most of the 218 explorations conducted in the U.S. over the past 65 years supported by this program targeted native wild species (Williams and Greene 2018). Many botanic gardens and other ex situ conservation institutions are collaborating on crop wild relative conservation and education (Miller et al. 2015; BGCI 2016; Krishnan and Novy 2016). 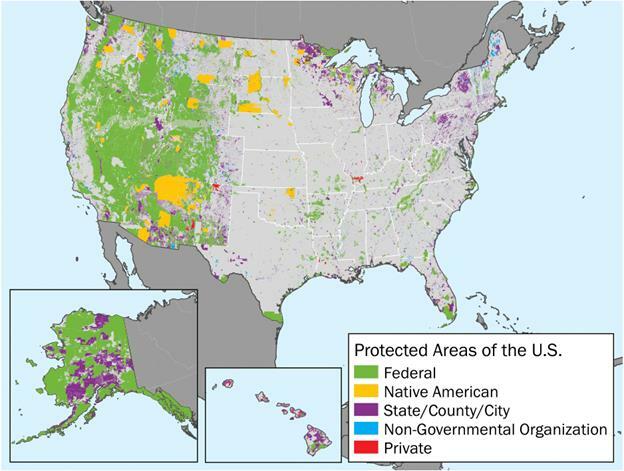 Federal lands, State and local forests and parks, Native American lands, conservation organizations, and private lands offer critically important habitat for a wide diversity of native crop wild relatives, particularly in the Western U.S. 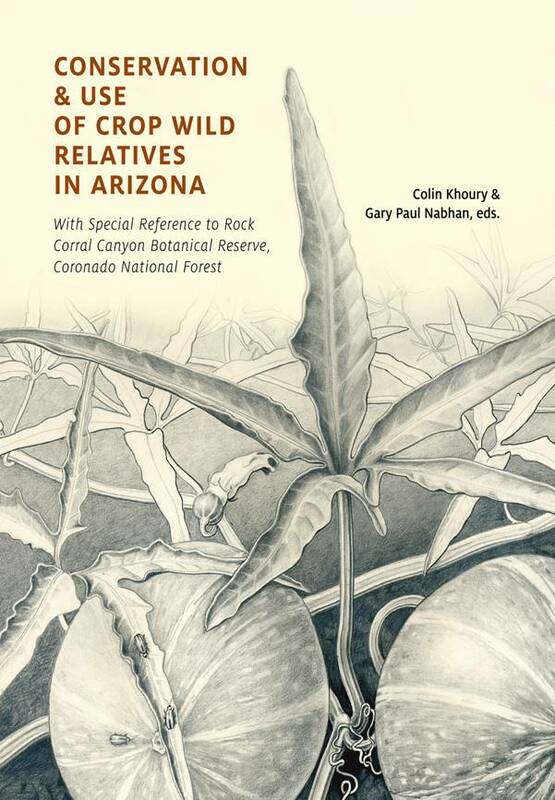 The U.S. Forest Service and local organizations combined forces to create the Wild Chile Botanical Area in Arizona (Nabhan 1990; USFS 2016). The USDA Agricultural Research Service and the Forest Service have created a Strategic Framework on the Conservation and Use of Native Crop Wild Relatives in the United States (USFS and USDA-ARS 2014). Under these arrangements, the agencies are collaborating on conserving the wild relatives of cranberry (USFS 2016), and are looking to expand to other taxa. 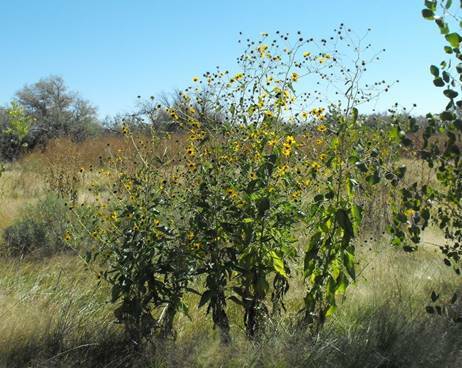 The Bureau of Land Management-led Seeds of Success (SOS) program has accumulated over 15 years of experience of Federal and non-Federal partners collecting wildland native seed for long-term germplasm conservation and for use in seed research, development of native plant materials, and ecosystem restoration (Haidet and Olwell 2015; SOS 2018). The program is interested in prioritizing crop wild relatives during collecting targeting. The National Seed Strategy for Rehabilitation and Restoration, created by twelve Federal Agencies and over 300 non-Federal cooperators has outlined native seed collection, research, and land management needs from 2015-2020, including specifically targeting crop wild relatives (PCA 2017). The U.S. Fish and Wildlife Service provides Federal protection for threatened and endangered plants, including a handful of native crop wild relatives, under the U.S. Endangered Species Act. Two nongovernmental organizations- Natureserve and the IUCN, provide threat-related information on U.S. flora, including crop wild relatives, which are important to prioritization setting (Frances et al. 2018). Researchers across North America have recently come together to begin to document current conservation needs for crop wild relatives (Greene et al. 2018, 2019). (U.S. Geological Survey 2016). Map from Williams and Greene (2018). We invite you to join us in the effort to recognize, protect, and utilize our natural heritage of crop wild relatives. Pecos sunflower (Helianthus paradoxus Heiser) at Blue Hole Cienega, Santa Rosa, New Mexico. the Endangered Species Act and globally imperiled in NatureServe (Khoury et al. 2013). Photo by Laura Marek. This executive summary was prepared for a forum at the University of Arizona from January 13-15, 2019. The editors of this publication are grateful to Paul Mirocha of the Tumamoc Hill Desert Laboratory for the illustration of Cucurbita digitata A. Gray and design of the cover. 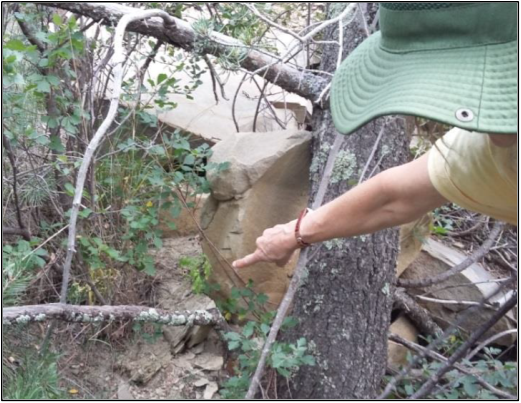 We are also grateful to Wendy Hodgson of the Desert Botanical Garden for revising our counts of CWR in Arizona based on latest taxonomic changes and phytogeographic data being incorporated into a new Flora of Arizona by a network of botanists in universities, botanical gardens, and other organizations. Wild potato (Solanum jamesii Torr.) in New Mexico. Photo by John Bamberg. Asseng R et al. (2015) Rising temperatures reduce global wheat production. Nat. Clim. Chang. 5, 143–147. BGCI (2016) North American Botanic Garden Strategy for Plant Conservation, 2016-2020. Botanic Gardens Conservation International U.S., Chicago IL. Castañeda-Álvarez N et al. (2015) Ex situ conservation priorities for the wild relatives of potato (Solanum L. section Petota). PLoS One 10(4), e0122599. Castañeda-Álvarez N et al. (2016) Global conservation priorities for crop wild relatives. Nat. Plants 2(4), 16022. Chen YH (2017) Back to the origin: In Situ studies are needed to understand selection during crop diversification. Front. Ecol. Evol. 5, 125. Cordell D et al. (2009) The story of phosphorus: Global food security and food for thought. Glob. Environ. Chang. 19, 292–305. Cristopher WY et al. (1984). Plant genetic resources. A conservation Imperative. AAAS Selected Symp. 87. Westview Press, Inc., Boulder, CO.
Dempewolf H et al. (2013) Adapting agriculture to climate change: A global initiative to collect, conserve, and use crop wild relatives. Agroecol. Sustain. Food Syst. 38, 369–377. Dempewolf H et al. (2017) Past and future use of wild relatives in crop breeding. Crop Sci. 57(3), 1070. Fraile A et al. (2017) Environmental heterogeneity and the evolution of plant-virus interactions: Viruses in wild pepper populations. Virus Research 241. Frances A et al. (2018) Conservation Status and Threat Assessments for North American Crop Wild Relatives. In: Greene SL et al. eds., North American Crop Wild Relatives, Volume 1: Conservation Strategies. Springer International Publishing AG, 189-208. Godfray HCJ et al. (2010) Food security: the challenge of feeding 9 billion people. Science 327, 812–818. Greene SL et al. (eds.) (2018) North American Crop Wild Relatives, Volume 1: Conservation Strategies. Springer International Publishing AG. Greene SL et al. (eds.) (2019) North American Crop Wild Relatives, Volume 2: Important Species. Springer International Publishing AG. Haidet M, Olwell P (2015) Seeds of Success: A National Seed Banking Program Working to Achieve Long-Term Conservation Goals. Natural Areas Journal 35(1), 165–73. Hajjar R, Hodgkin T (2007) The use of wild relatives in crop improvement: a survey of developments over the last 20 years. Euphytica 156, 1–13. Hampe A, Petit RJ (2005) Conserving biodiversity under climate change: the rear edge matters. Ecology Letters 8(5), 461–467. Hodgson W (2001) Food Plants of the Sonoran Desert. University of Arizona Press, Tucson AZ. Jarvis D et al. (2008) The effect of climate change on crop wild relatives. Agric. Ecosyst. Environ. 126, 13–23. Kantar R et al. (2015) Ecogeography and utility to plant breeding of the crop wild relatives of sunflower (Helianthus annuus L.). Front. Plant Sci. 6, 841. Khoury CK et al. (2015) Distributions, ex situ conservation priorities, and genetic resource potential of crop wild relatives of sweetpotato [Ipomoea batatas (L.) Lam., I. series Batatas]. Front. Plant Sci. 6, 251. Khoury CK et al. (2019) Comprehensiveness of conservation of useful wild plants: an operational indicator for biodiversity and sustainable development targets. Ecological Indicators 98, 420-429. Krishnan S, Novy A (2016) The role of botanic gardens in the twenty-first century. CAB Reviews 11(023). Le Saout S et al. (2013) Protected Areas and Effective Biodiversity Conservation. Science 342 (6160), 803–805. Louderback LA, Pavlik B (2017) Starch granule evidence for the earliest potato use in North America. PNAS 114 (29), 7606-7610. Luna-Ruiz JJ et al. (2018) Shifts in plant chemical defenses of chile pepper (Capsicum annuum L.) due to domestication in Mesoamerica. Front. Ecol. Evol 6, 48. McCouch S et al. (2012) Genomics of gene banks: A case study in rice. Am. J. Bot. 9, 407–423. Metcalf RL et al. (1980) Cucurbitacins as kairomones for diabrocite beetles. PNAS 77(7), 3769-3772. Miller A et al. (2015) Expanding the role of botanical gardens in the future of food. Nature Plants 1(6), 15078. 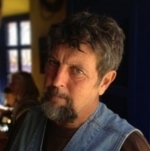 Moerman D (1998) Native American Ethnobotany. Timber Press, Portland OR. Nabhan GP (1991) Genetic resources of the U.S./Mexico border states: wild relatives of crops, their uses and conservation. In: Ganster P, Walter H (eds) Environmental Hazards and Bioresource Management in the U.S./Mexico Borderlands. UCLA Latin American Studies Center, Los Angeles CA. Nabhan GP et al. (1986) At the edge of extinction: useful plants of the border states of the United States and Mexico. Arnoldia 4(6), 33-35. Nabhan GP (1990) Conservationists and forest service join forces to wave wild chiles. Diversity 6(3&4), 47-48. Ramírez-Villegas J et al. (2010) A gap analysis methodology for collecting crop genepools: a case study with Phaseolus beans. PLoS One 5(10), e13497. Ray DK et al. (2013) Yield trends are insufficient to double global crop production by 2050. PLoS One 8, e66428. Seiler G et al. (2017) Utilization of sunflower crop wild relatives for cultivated sunflower improvement. Crop Sci. 57(3), 1083-1101. Tewksbury JJ et al. (1999). In situ conservation of wild chiles and their biotic associates. Cons. Biol, 13(1), 98-107. Williams KA, Greene SL (2018) “Conservation of crop wild relatives in the USA”. In: Greene SL et al. eds., North American Crop Wild Relatives, Volume 1: Conservation Strategies. Springer International Publishing AG, 97-154. Zhang J et al. (2017) Extinction risk of North American seed plants elevated by climate and land-use change. J. Applied Ecol. 54(1), 303–12.